Compound words contain two words that were put together, like "viewpoint" for example. Great for vocabulary lessons. 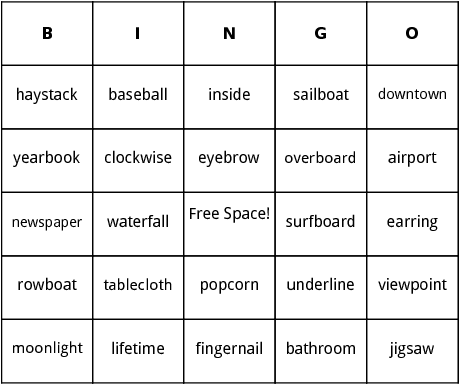 These bingo sheets include different compound words such as tablecloth, surfboard, viewpoint, bathroom, moonlight and popcorn.